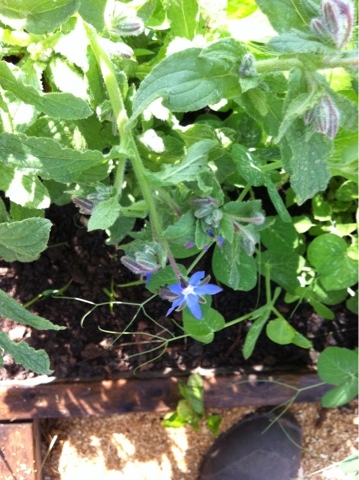 We have borage planted amongst our vegetables. Some sources say it will attract bees of many kinds as well as other pollinators. Other sources say it will help reduce the effect of the tomato hornworm. It is also used as an addition to cold water through the summer, to cool off the farmer. All that works. And the blue is a lovely, hard to find addition!